based on the marbling score achieved and only the best will do when it comes to Woodview Wagyu. 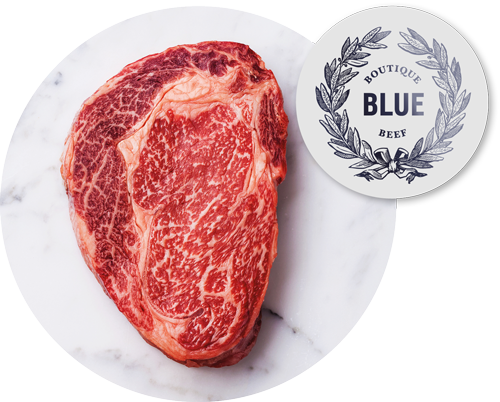 Our BLUE label product signifies our top-of-the-range Woodview Wagyu. The meat has a marbling score* of no less than 8 on the lower range and up to 9+ on the upper scale. This means it has high amounts of fine web-like seams of intramuscular fat, so much so that the meat actually appears quite white. Treat yourself – this beef is in a class of its own! 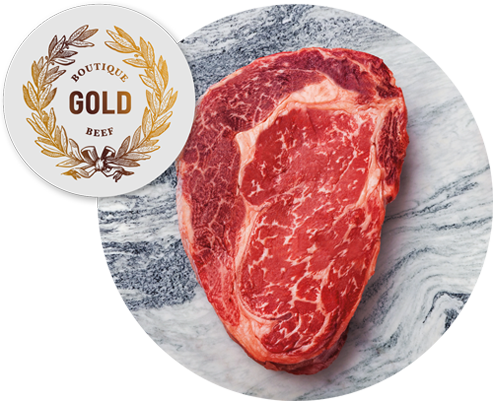 Our GOLD label product has a marbling score* of 6 to 7. This product has a fairly high amount of fine intramuscular fat, translating into that melt-in-the-mouth buttery Wagyu texture. Well worth it! 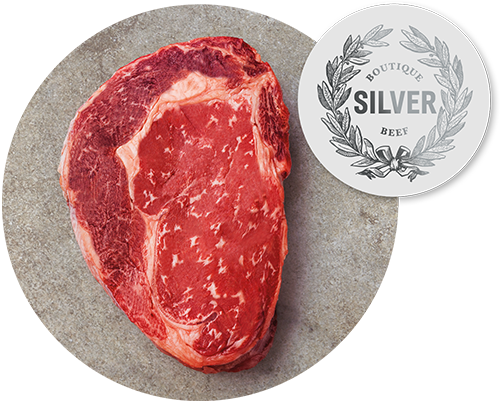 Our SILVER label product has a marbling score* of 3 to 5. This product has a fair amount of intramuscular fat and is the perfect introduction for someone trying Wagyu beef for the first time, gently easing them into the marbling scene. We very seldom have Woodview cattle in this grade as most of our Wagyu has a marbling score of 7 and above. When ordering our Woodview Wagyu steaks (Rump, Sirloin and Ribeye), please be sure to specify the grade. Each grade of Wagyu is easily distinguished by the Blue, Gold and Silver stickers on the packaging.